At Charleston Veterinary Referral Center, we recognize that your pet is an important member of your family, and we pride ourselves on caring for them as we would one of our own family members. You have entrusted us with the care of a family member, and we take that responsibility very seriously. 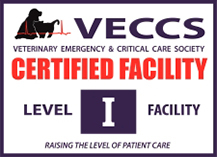 Bringing your pet to CVRC often means that your pet is sick or injured, and we strive to be compassionate and sensitive to the needs of you and your pet during these difficult times. Please let us know if there is any way that we can better serve you or meet your needs.